Eastern Energy Services along with its South-East Asian partner VAE CONTROLS® is focused on construction and reconstruction of tank farms, terminals and pipelines for petroleum products. Our scope of supply includes design at all stages, project management, engineering and the complex supply of technology units including our own automation system TAMAS®. We offer to our customers solutions based on components from brand-name producers. This ensures fulfilling of required standards, high reliability, possibility of future expansion, fast service and system compatibility. Our development and production centre gives us the possibility to supply special products for tank farms, certified according ATEX for use in explosive applications and hazardous area environments. METERING SKIDS IPMS (INTEGRATED PIPELINE MEASURING STATION SYSTEMS) 2", 4", 8", 12", 16" for filtration, pressure control and custody transfer metering of crude oil, fuels or liquid chemical products for unloading/loading to/from tank farms, pipelines, ship tankers, railway or tank truck terminals. 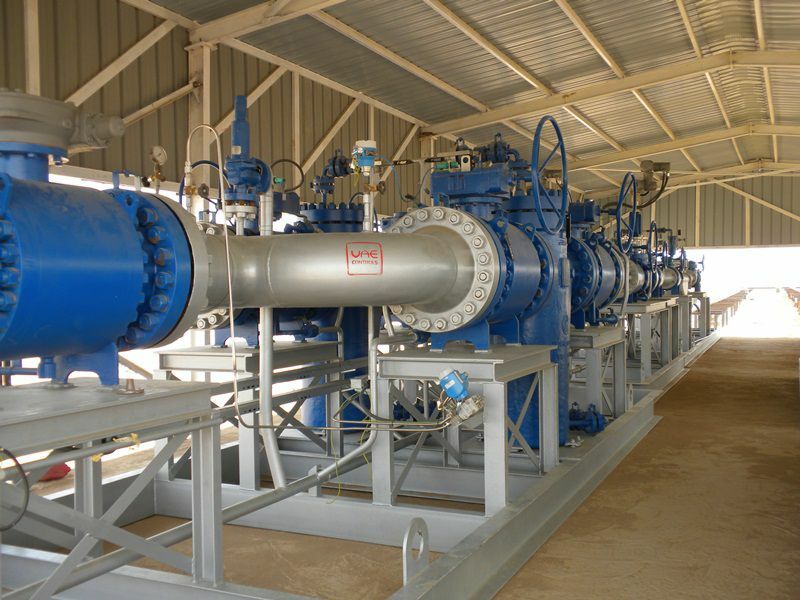 Design and fabrication of complete pumping skids. 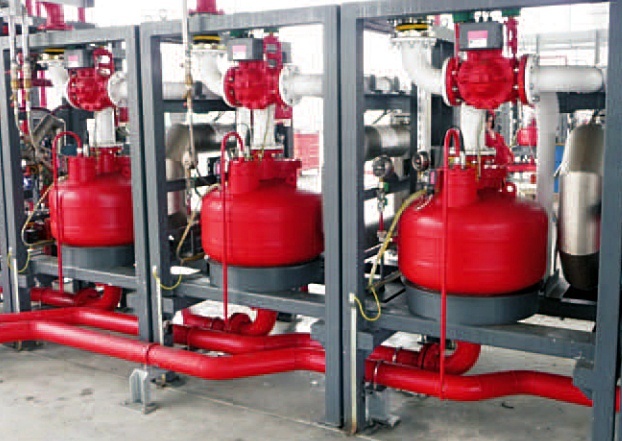 A skid with standby pumps for pressurising of additives. 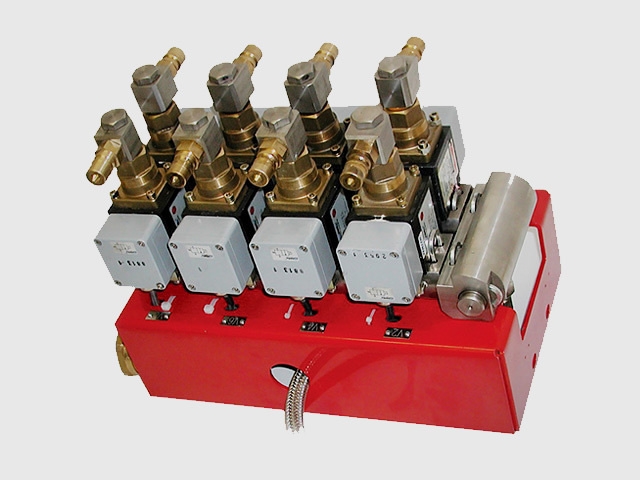 CMR series metering skids - compact skid mounted metering systems for tank trucks and rail cars (un)loading. 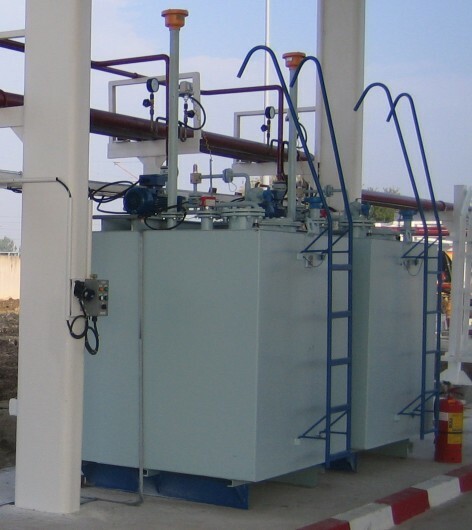 The skid consists of double-wall 3m3 tank for additives with instrumentation, additive pump, filter, pressure control valve and connection pipes. The accessories are located on the roof of the tank which makes it very compact and easy to install on site. Grounding testers EGT 4, EGT 6 grounding control devices. The grounding testers EGT 4 (EGT 6) are dedicated products designed for the verification of correct grounding for tank trucks or a railcars. The electrical grounding testers are used during loading and unloading of chemical products in explosive hazardous areas. The equipment is highly resistant against so called "fake-grounding". The state of grounding is indicated by coloured lights and by a contactor for the control system. These are housed in explosion proof boxes. 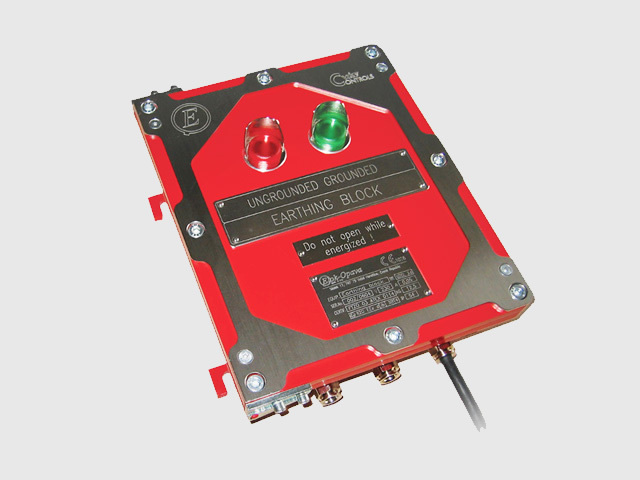 For controlled grounding of tank trucks, railway tank, wagons, containers and barrels. When loading fuel or other non-conducting hydrocarbons into or from fuel-carrying vehicles it is paramount to ensure proper grounding of trucks and other vehicles to ensure diversion of sparks caused by unintentional electrical discharges. These sparks can easily cause an explosion. TAMAS® is a sophisticated system for automation and control of tank farms and terminals and for administration of fuel handling. Highly reliable, scalable, flexible according to your needs. Compact solution for additive dosing. Includes pump, pressure regulation valve, additive dosing unit and space for a 200L barrel with additives. Easy installation and suitable for outdoor environment. 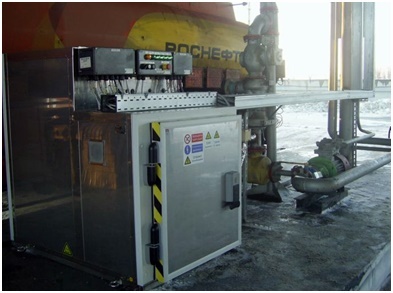 Technological units for batch production of methyl ester from vegetable oil. 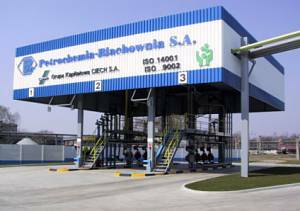 Methyl ester is either used as oil replacement or constitutes the basis for the production of so-called bio-oil, an environmentally friendly fuel. The capacity of the unit may be set in a range of 5,000 - 20,000 tones of methyl ester annually. 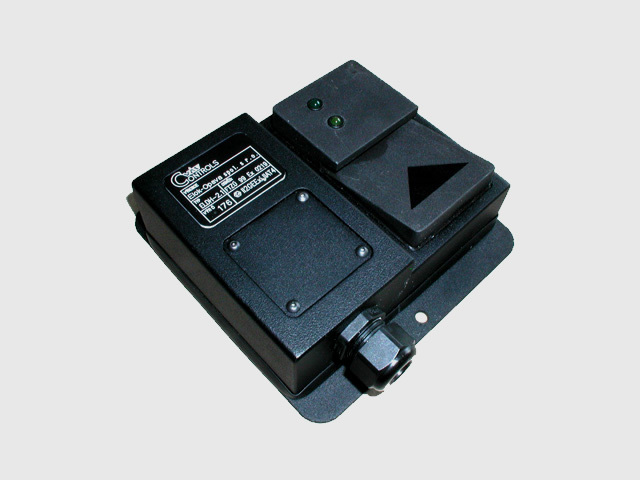 Contact-free access identification system featuring a DeviceNet interface for direct linkage with the telemetric station. 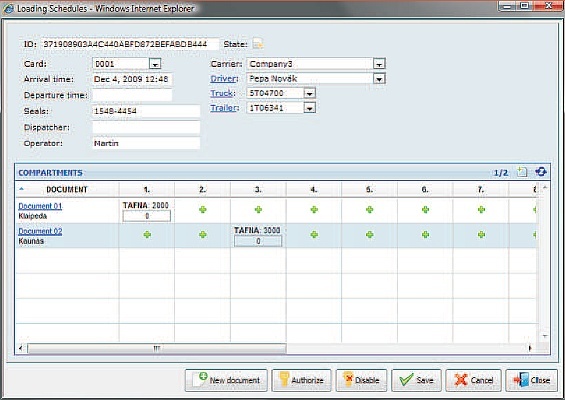 The application of the system is primarily in the field of security, alerting entries into the site and providing personal identification by means of radio indication of personal codes and their transfer to and from the display at the central dispatching centre. 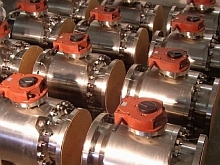 A wide range of ball valves for applications in chemical and petrochemical industries. Diameters from DN25 up to DN400, working pressure PN16 up to PN160. 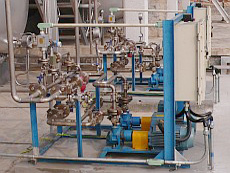 Possibilities of special design including DBB (double block and bleed valves) with operational sealing indication used for the calibration of measuring runs.